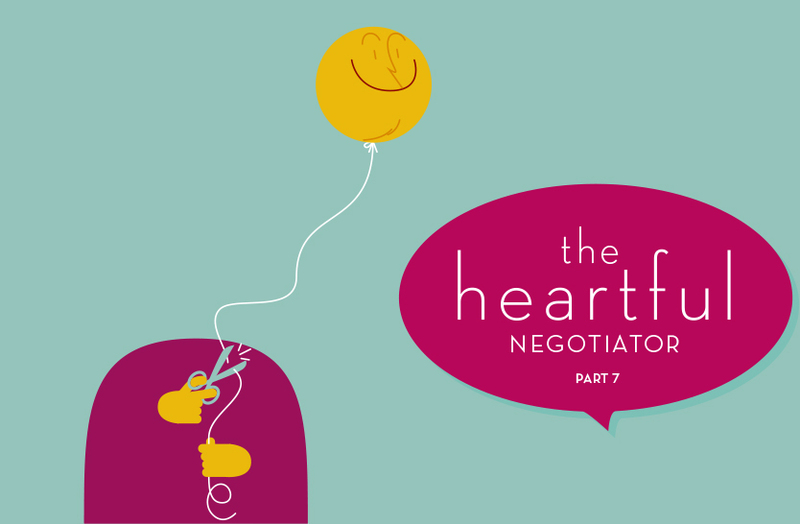 In the previous 6 articles of this series RAVI VENKATESAN explored feelings and emotions in the heart, as well as the role played by our ego and intellect in negotiations. In this article we’ll learn the role our mind plays in negotiations, some of the distractions that are part of its nature, and how to focus it to achieve better outcomes. The mind has been a topic of study and curiosity for us since time immemorial. Wikipedia describes psychology as the science of behavior and mind, including conscious and unconscious phenomena, as well as feeling. The mind and heart are not two different things, but rather two ends of a spectrum. In the last article in this series, we discussed the mind as one of the non-physical or subtle things that are part of us nevertheless. The mind doesn’t have any kind of ‘moral compass’. This comes from the ‘heart’. For example, your mind can help you plan a heinous crime, including every step and scenario, just as well as it will help you plan how to build an orphanage. This is why heartful negotiators always use the heart to direct or lead the mind. In modern times, the conscious portion of our minds is often in a distracted and non-focused state, operating at a very low rate efficiency rate. This is because of multiple causes, such as cell phones, televisions, desires for all kinds of things, stress levels, anxieties etc. For many of us the normal state of mind is one of unregulated wandering, with ad hoc ideas and thoughts coming up all the time. Many of us blame our minds for lack of peace and calm. I have heard many people even say, “If I could only stop my mind for a few minutes I would feel much better, but it keeps churning constantly.” Many can’t sleep at night because of a hyperactive mind, causing health issues as well. When it comes to negotiations, a negotiator with a wandering mind will receive inputs from inside themselves through ad hoc thoughts and ideas. These inputs cause them to miss important details, and also to make decisions based on thoughts that have distorted reality for them. To understand this better, consider the following scenario of negotiation between Chris, a young pianist, and Joseph, an artist and repertoire manager at CoolRecords, a well-known record company. Chris has the opportunity to record his first album with CoolRecords, and is negotiating the makeup of this album with Joseph. JOSEPH: That is great to hear, it will make the whole process easier. We have a few suggestions on the content of the album first. CHRIS: Suggestions – what for? I am pretty happy with the content as is and don’t want any creative interference. JOSEPH: Chris, I don’t appreciate your approach. We have a right to suggest changes to the content to improve marketability, keeping in mind that this is your first album. CHRIS: I am sorry. Just let me know whatever you need me to change. JOSEPH: There is no need for an apology, but just understand what we are trying to do here. You will be fine. What happened here is very common. Chris’s mind created several illusions within this simple negotiation. Joseph never even intended to discuss royalty or commercial aspects, but Chris assumed he would. Joseph never intended to take advantage of this being Chris’s first album, even though Chris assumed he did. Chris couldn’t pay enough attention to what Joseph was saying because of all these thoughts floating around in his own mind. Be alert to the ideas and thoughts that pop up. Are they real? Or are they made up? Clear your mind before any negotiation. The Heartfulness Meditation process can help with this tremendously. Even 15 minutes of meditation can clear your mind and put you in a very calm state. Focus your mind on the present. The mind has a tendency to wander into the past and the future. Bringing it to the present can let you absorb all the relevant information and make the best decisions and negotiate effectively. Refer to the heart whenever you are in doubt. The mind has no moral compass, but the heart will always give you the right signal, the right answer. The way to do this is simply to pause, go deeper into yourself, and let an answer emerge naturally.